Gallows, n.: A stage for the performance of miracle plays, in which the leading actor is translated to heaven. Qatar, located on a small peninsula in the Persian Gulf, became a British protectorate in 1916. It remained under British control for more than 50 years, a period during which oil was discovered there and Qatar rapidly modernized. In 1968, Britain declared that it would disengage from the region, and Qatar joined a federation of nearby states. 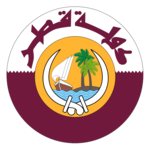 However, disputes arose, and, in 1971, Qatar became an independent state. Prior to the discovery of oil there, Qatar was noted for what unusual industry? Found in great numbers across Europe and Asia, microliths are very small blades made of flaked stone. Produced primarily during the Mesolithic Period, or Middle Stone Age, they were probably put to use in hunting and fishing weapons. Some could have been used as sharp tips for projectiles such as spears or arrows, while others may have been set together as teeth on harpoons. How do archaeologists distinguish microliths—which are typically shorter than the tip of a finger—from ordinary rocks? As a lady-in-waiting at the French royal court, Diane captivated the man who would become King Henry II of France—though he was 20 years her junior. After the death of her husband, she became Henry's mistress. Following his coronation in 1547, Diane held court as queen in all but name, while the real queen lived in relative obscurity. However, after Henry's 1559 death, she was forced to retire from court. Her death may have been the result of drinking too much gold in an elixir meant to do what?